The compact disc comes in a beautiful and eco-friendly 6 panel Digi-pak w/8 page booklet. The artwork and design is done by none other than Bob Ciano. Responsible for some of the most provocative, beautiful album covers ever designed for Blue Note, CTI and Kudu Records during the 1960s, 70s. and 80s. Across the wide seas, distant mountains, and the vast complexity of the soul, The Crooked Jades new release “Empathy Moves The Water" emphasizes the lonesome in "High Lonesome" music. The band’s old-time roots reflect the cultural melange and longing implicit in the shadows of America - from haunting ballads punctuated by hypnotic fiddles that express digital isolation and humanity lost in a rapidly changing land, to the high energy revival songs inspired by early rural gospel blues. Reaffirming their reputation as an innovative old-time string band closer in spirit to Tom Waits and Nick Cave, The Crooked Jades create a unique and soulful modern sound by exploring the roots of Americana and interweaving the diverse musical influences of Europe and Africa. 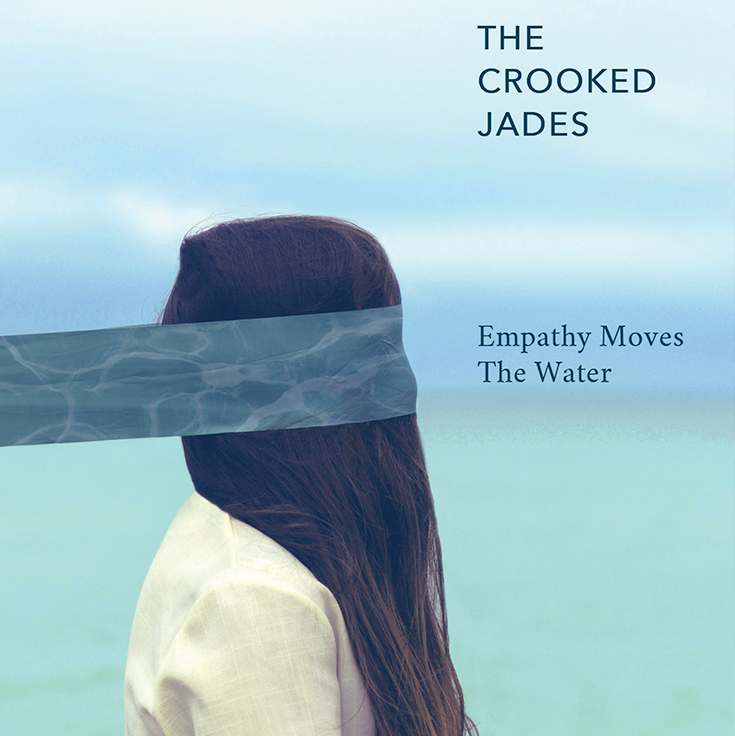 With a bold vision and drive to innovate and inspire, the Crooked Jades release their brand new album “Empathy Moves The Water" on their own label, Jade Note Music. Largely recorded at Berkeley’s famous Fantasy Studios, this new album is produced by the highly celebrated Bruce Kaphan. The band once again features their signature mix of inspired re-arrangements of rare and obscure old-time gems and beautiful original compositions, all played on vintage and eclectic instruments, including Hawaiian slide, Vietnamese jaw harp, harmonium, ukulele, banjo, ukulele, arco bass, and minstrel banjo.